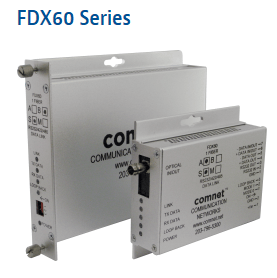 The ComNet FDX60(M,S)[-M] data transceivers provide point-to-point transmission of simplex or duplex EIA RS232/RS422/RS485 (2W/4W) data signals over one or two optical fibers. 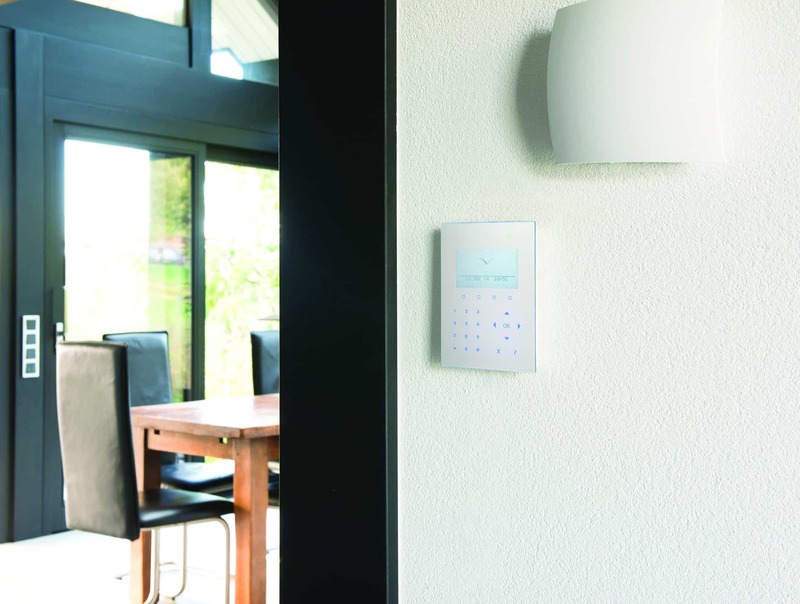 The transceivers are transparent to data encoding allowing for broad-range compatibility. 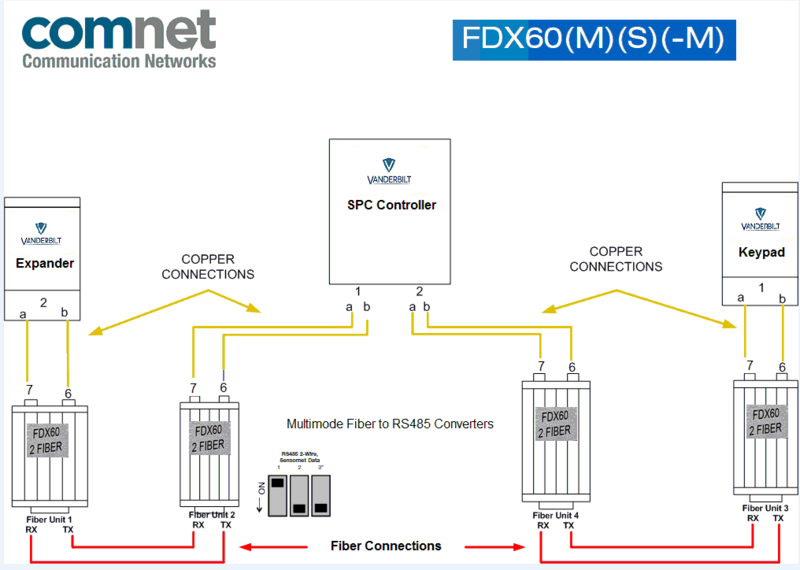 Models within this series are available for use with multimode or single mode optical fiber.